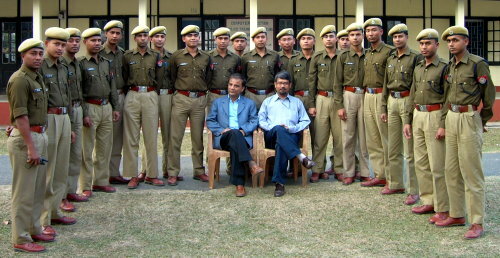 Cadet Sub-Inspectors of the 48th batch undergoing Computer Training pose for a photograph with NIC officials at the Police Training Centre, Dergaon. Ciculars on Allowances - DA, HRA, etc. Additional Circulars are available at: india.gov.in portal. Get a new computer generated Identity Card for the old one from the Section Officer, Administration, NIC Assam State Centre. The new card is available for all North East States covered by this office. The application form can be downloaded from Forms Centre. The following links will take you to Google Maps and you should be able see the locations of NIC offices in Guwahati, Gauhati Medical College and PIB Guwahati in the satellite map. The demo shows how to include Google Maps in your website.